For over 25 years, Atlantic Marine has been faithfully serving the needs of Central Florida’s East Coast fishing and pleasure boating community. Serious fishermen need serious boats and we’ve got them! Our line of new Grady-White Boats, Tidewater Boats, Jupiter Boats, Sailfish Boats and Southwind Boats can handle the roughest of offshore demands, near inshore and backwater needs. 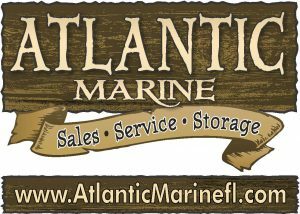 Atlantic Marine also carries only the finest used boats on the market. Every used boat goes through a thorough inspection prior to being listed. Atlantic Marine staffs only Certified MERCURY AND YAMAHA mechanics. Be assured, your boat is always in professional hands. Marine Electronic and Accessory installations are areas of expertise that we excel in. Atlantic Marine is a Certified Garmin Dealer, Chartplotters, Fishfinders, Transducers, Radar, Autopilots, VHF & AIS, Antennas and much more. Garmin is easy-to-understand, simple-to-use, and dependable electronics for your time on the water. Need parts? Visit Atlantic Marines parts department. If not already in stock, we’ll have most orders by the next day. Our commitment to quality, value and honesty, make choosing Atlantic Marine the right choice.